Featuring an angular design with a fold-over, tabbed closure, paperboard bags provide an upscale package for your next occasion. Select the pattern that best coordinates with your theme and customize with your own images and message. Perfect for weddings, birthdays or corporate events, these tent boxes are ideal for giving small favors, trinkets or treats to invited guests. With one piece, fold-up style construction and classic shape, this style box provides the most cost-effective solution for most packaging needs. Select the pattern that best coordinates with your theme and customize with your own images and message. Perfect for baked goods, weddings or any corporate giving, these boxes are an easy way to make gift packaging stylish and memorable. Featuring a built in handle and distinctive shape, gable boxes provide a unique package and great alternative to a traditional gift box for your next occasion. Select the pattern that best coordinates with your theme and customize with your own images and message. 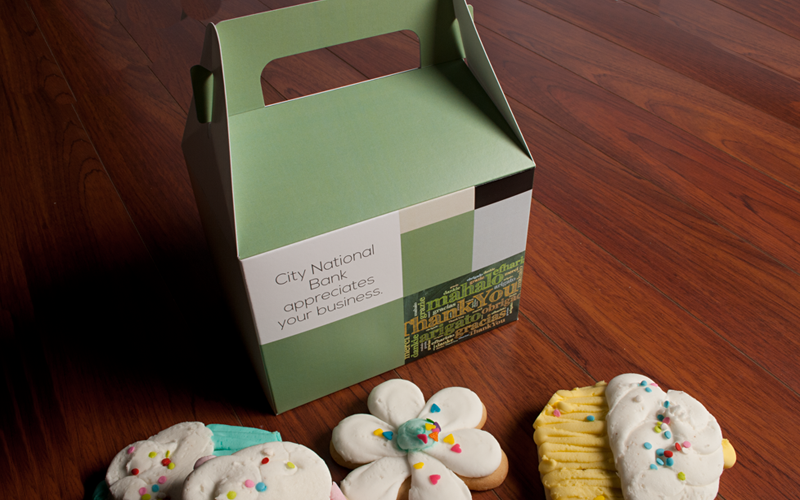 Perfect for food service, gift packaging or party favors,for a impression for weddings, birthdays, corporate events. With elliptical end closures and a curved shape, pillow packs provide a stylish and elegant packaging option for small gift items. Select the pattern that best coordinates with your theme and customize with your own images and message. 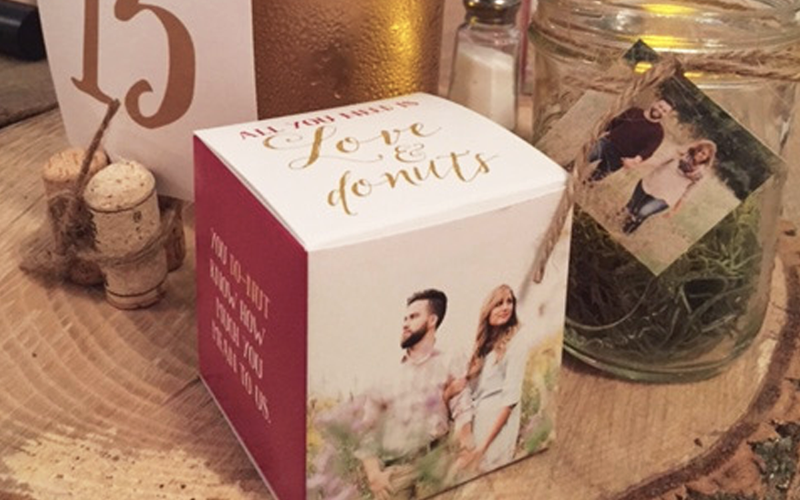 Perfect for party or wedding favors, ideal for smaller, lighter items such as gift cards, candy, and jewelry for retail packaging or special events. Make packaging more memorable! 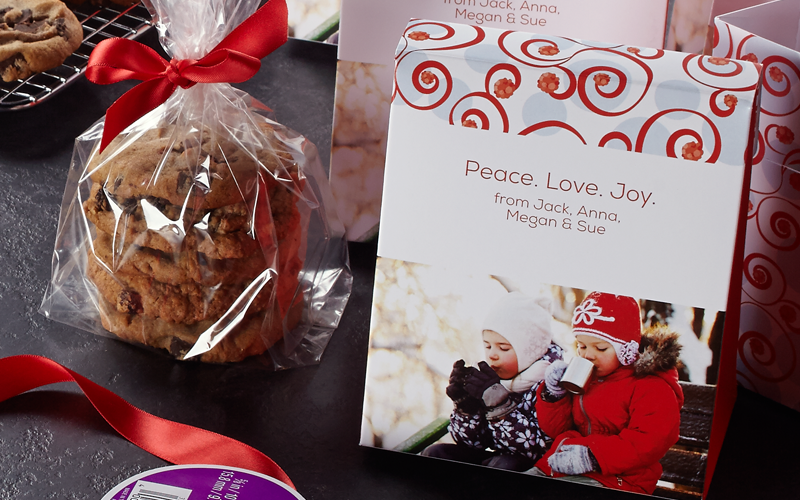 With tuck closures on the top and bottom, this classic box style provides a simple and easy way for packaging gift-ware. 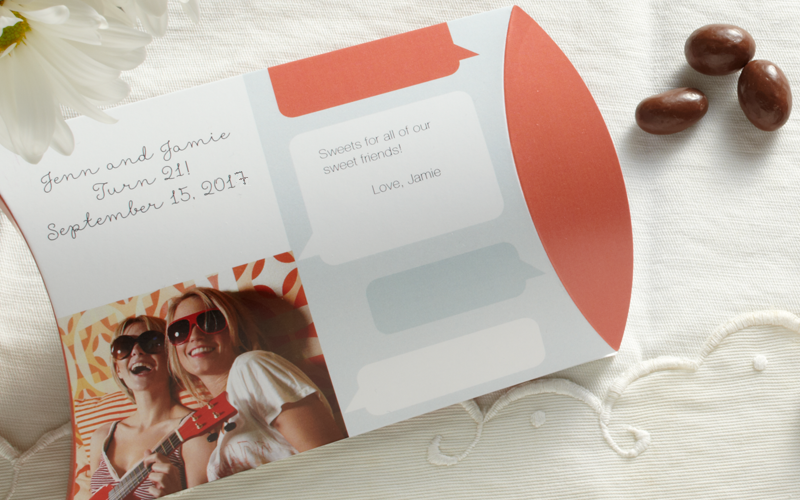 Select the pattern that best coordinates with your theme and customize with your own images and message. 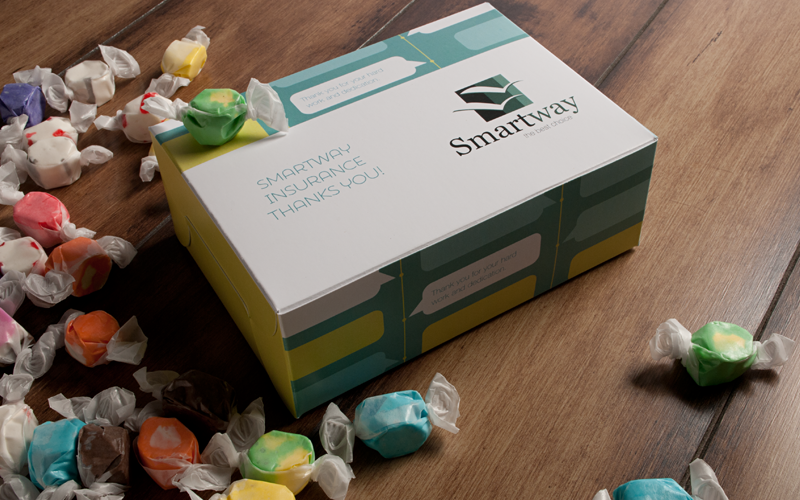 Perfect for retail, product or corporate giveaways, tuck boxes make custom gift and product packaging effortless.